Since 2006, the homeownership rate in Montana has dropped from 70% to 66%. Between 2011-14, Montana rents grew 5.3% per year. Housing prices are growing faster than incomes across the state. Nearly 30,000 Montana homes are in poor or very poor condition. Housing has been identified as one of the biggest obstacles for those being released from prison in terms of their success in making the transition. Housing builds Jobs, helping Montanans construct a better future for themselves and their families. ​The National Association of Homebuilders estimates that each new home or apartment creates or preserves one construction job. 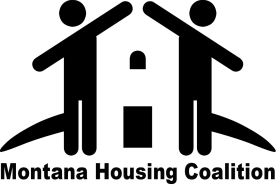 The Key Industry Network on Housing and Construction, as part of the Main Street Montana Project, recommended funding the Housing Montana Fund with an appropriation of $25,000,000, creating a coherent state housing policy, including a “Homes for Montanans” Champion within the Governor’s office to assess the life-cycle impact of proposed regulations, explore public and private funding options for housing, and make it easier for manufactured housing owners to record their homes as real estate.